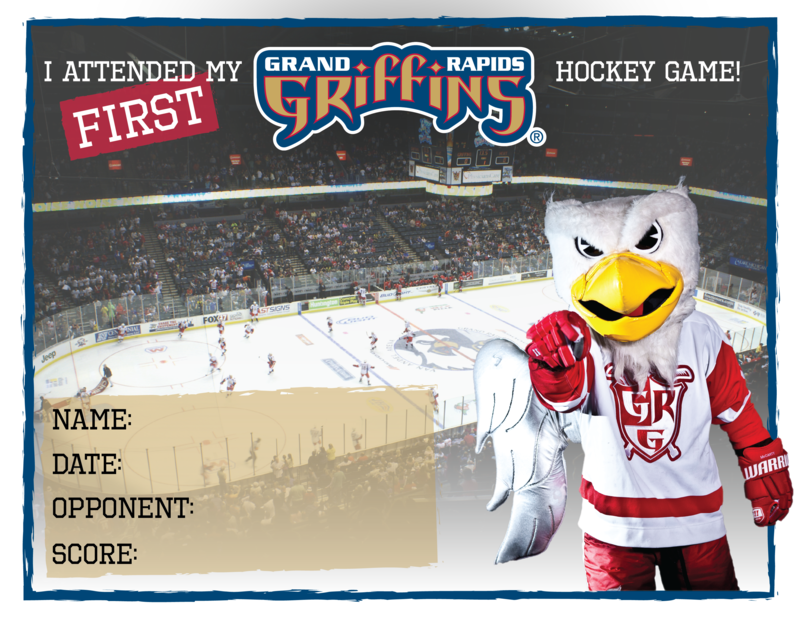 Second season as a Griffin…Sixth year pro…Signed to a two-year entry-level contract by Detroit, 5/24/17…Reassigned by Detroit from Lahti Pelicans (Finland) to Grand Rapids, 3/23/18...Assigned by Detroit, 10/17/18...Recalled by Detroit, 3/20/19...Assigned by Detroit, 3/24/19. Career Highlights: Scored a career-high 32 points and led all team defensemen in scoring with the Lahti Pelicans (Finland) in 2017-18…Made his debut with the Griffins in 2017-18, recording two assists in two games…Represented the Czech Republic at the 2018 and 2017 IIHF World Championships, 2014 IIHF World Junior Championship and 2012 IIHF World Under-18 Championship Named Rookie of the Year of the Erste Bank Eishockey Liga (Austria) in 2015-16…Helped KLH Chomutov win back-to-back league championships in 2014 and 2015. 2017-18: Led all Lahti Pelicans (Finland) defensemen in scoring with a career-high 32 points (9-23—32) in 42 games…Added a plus-five rating and 66 PIM…Ranked third on the team in scoring, second in assists, ninth in goals and second in PIM…Placed among the league’s defenseman leaders in points (7th) and assists (T6th)…Skated in three postseason games and had four PIM…Made his North American debut with the Griffins, skating in two regular season games and recording two assists…Tallied an assist and a plus-three rating in his North American debut, 4/12/18 at SA…Represented the Czech Republic at the 2018 IIHF World Championship and showed three points (1-2—3), a plus-two rating and eight PIM in eight games. 2016-17: Skated in 54 games with Orli Znojmo (Austria) and placed fourth on the team with 28 points (10-18—28) while adding a team-best plus-19 rating…Also ranked among the team leaders in goals (T4th) and assists (5th)…Among league defensemen, tied for eighth in both goals and plus-minus rating…Registered a team-high three goals in four postseason contests…Made his debut with the Czech Republic men’s national team, logging one assist in two games at the 2017 IIHF World Championship. 2015-16: In 52 games with Orli Znojmo (Austria), tallied 18 points (6-12—18) and 14 PIM…Named the Erste Bank Eishockey Liga Rookie of the Year…Placed fourth among team blueliners in scoring…Recorded seven points (2-5—7) and 16 PIM in 18 postseason contests. 2014-15: Appeared in games for three different teams in the Czech Republic…Totaled 11 points (6-5—11) and eight PIM in 12 games with KLH Chomutov U20…Helped Chomutov win the league championship…Showed five points (3-2—5) and 10 PIM in nine appearances with SK Kadan in the Czech second-tier league…Posted six points (1-5—6) and 12 PIM in 29 regular season contests with Pirati Chomutov in the Czech second-tier league…Scored seven points (4-3—7) in 22 postseason games with Pirati Chomutov. 2013-14: Skated in games for three different teams in the Czech Republic…Appeared in 19 games with KLH Chomutov U20 and totaled 10 points (4-6—10) and 28 PIM…Showed nine points (8-1—9) and 10 PIM in 11 playoff contests…Helped KLH Chomutov win the league championship…Made one appearance with SK Kadan in the Czech second-tier league…Made his debut with the top league in the Czech Republic, posting four points (2-2—4) and 14 PIM in 32 games with Pirati Chomutov…Played in one playoff with Chomutov…Appeared in five games with the Czech Republic at the World Junior Championship and showed four PIM. 2012-13: Spent the regular season with KLH Chomutov U20 and produced 18 points (9-9—18) and 12 PIM in 40 games…Skated in three playoff games and scored one goal…Appeared in two playoff games with SK Kadan in Czech’s second-tier league and had two PIM. 2011-12: Logged 11 points (6-5—11) and 73 PIM in 50 games with Tatranski Vlci in the Russian junior league…Produced three assists in six games with the Czech Republic in the 2012 IIHF World Under-18 Championship. 2010-11: Split the season between HC Havlickuv Brod’s U18 club and U20 team in the Czech Republic…Notched 11 points (4-7—11) and 34 PIM in 40 games with the U18 team…Added two assists in three playoff games…Skated in nine games with the U20 team and had two PIM. 2009-10: Appeared in games with HC Havlickuv Bod’s U16 and U18 teams…Finished with six points (2-4—6) and 47 PIM in 29 games with the U16 club and eight PIM in 16 games with the U18 squad.